Jose Mourinho urged David De Gea to maintain his performance level to rival Petr Cech as one of the Premier League’s greatest-ever goalkeepers. The Spain international equalled a Premier League record with 14 stunning saves in Manchester United’s 3-1 loss to Arsenal at the Emirates Stadium on Saturday evening. The Red Devils made the breakthrough in the fourth minute thanks to Antonio Valencia’s fourth-minute opener at The Emirates to put the hosts on the back foot. Jesse Lingard doubled Manchester United’s lead in the 11th minute following good work from France international Anthony Martial to find the English midfielder. Arsenal halved the deficit thanks to Alexandre Lacazette’s close-range finish following Aaron Ramsey’s exquisite touch to tee up the club record signing. The 20-time English champions restored Manchester United’s two-goal cushion when Paul Pogba held off Laurent Koscielny before he rolled the ball across the box for Lingard. While De Gea produced a world class performance to limit Arsenal to one goal, Cech made one big save to keep the home side within touching distance. Cech was part of Mourinho’s Chelsea team that won the Premier League title in 2005 and 2006. 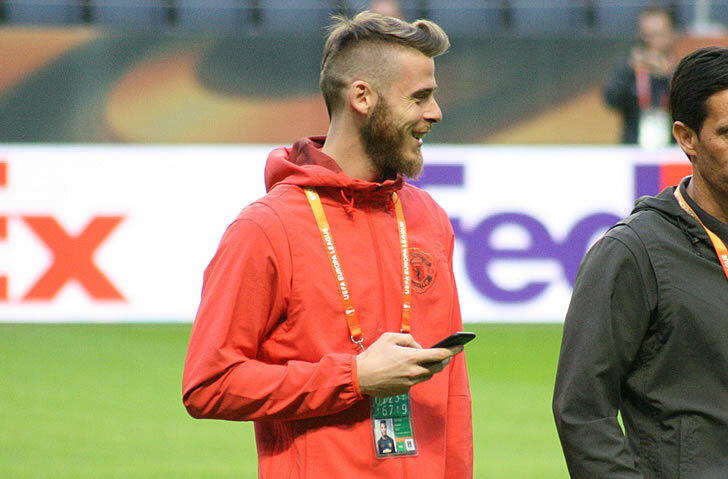 Speaking to the media following Manchester United’s landslide win, Mourinho shared praise between De Gea and Cech. “He has made amazing saves but I think Petr Cech had an amazing save from Jesse too,” Mourinho said.